The Dutchman has shown support for his Liverpool teammate, who has struggled for form in recent weeks. Virgil van Dijk has tipped Mohamed Salah to re-find his goal-scoring touch amid a dry spell in front of goal. The 26-year-old hasn't scored in his last seven games despite creating ample chances to find the back of the net, with Sadio Mane's impressive form in his absence tying the two players as the club's top scorers in the Premier League this season (17). 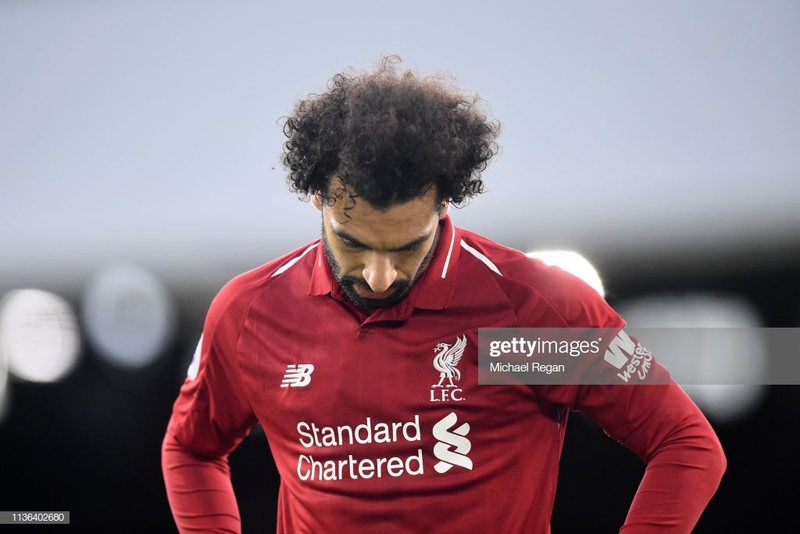 The Egyptian is one goal shy of scoring 50 league goals for Liverpool and would be the quickest player to do so if he can rediscover his form within the next four games. His current tally of 49 has been achieved in just 67 appearances, five fewer than it took Fernando Torres to hit 50 goals. The Spaniard was one of the most clinical finishers at the club in recent times, providing a testament to the monumental job Salah has done since moving to Merseyside from AS Roma. While his goals have dried up, Salah's influence has continued to play a major role in Liverpool's successes. With defenders intent on closing down his supply lines and restricting him from gaining time and space to drive at goal, his teammates have benefitted from the extra freedom. A stunning assist for Mane's second in the recent 3-1 Champions League win in Munich was the latest testament of his qualities; producing a pinpoint cross with the outside of his boot to ensure Liverpool safe passage into the quarter-finals. Such presence has seen the forward retain the confidence of his teammates, with Van Dijk believing it is merely a matter of time until the 26-year-old starts scoring again. Speaking to the club's official website, the Dutchman said "Mo is a world-class player." “He’s still scored plenty of goals for us, to be fair, so it’s not like two like me! It is like this."